Next-Gen Honda City could look like this; realistic rendering! Next-generation Honda City is going to launch in India sometime during the year 2020. It is expected to feature an automatic gearbox in its diesel variant. 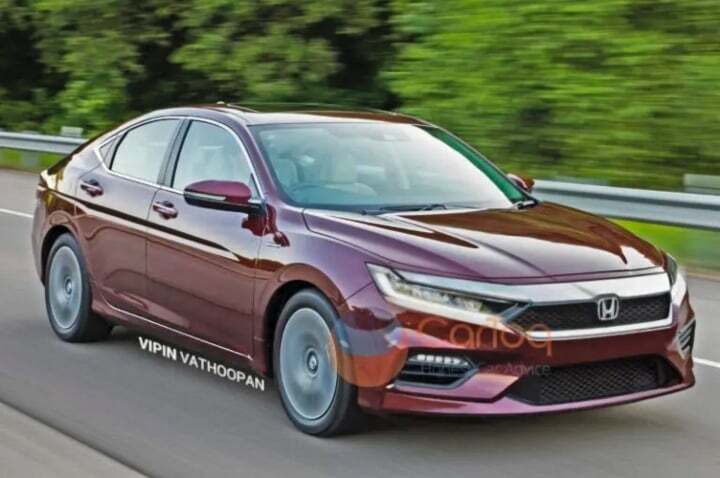 The fifth generation iteration of the Honda City mid-size sedan is speculated to launch in India sometime during the first half of 2020. Currently running in its fourth generation iteration with a minor facelift, the City trades punches in the mid-size sedan segment with the likes of Maruti Suzuki Ciaz, Hyundai Verna and the offering from the Volkswagen group. The next-generation Honda City will make its global debut by the end of this year. There have been unconfirmed reports which state that this fifth generation update of this mid-size sedan is finally going to get an automatic gearbox paired to its diesel engine. The power units, both in the petrol as well as the diesel guise will remain the same as before. The petrol engine is going to be a 1.5-litre, 4-cylinder i-VTEC unit while the diesel engine will be a 1.5-litre i-DTEC unit. Though these engines remain the same as before, when the next-gen City goes on sale, will be upgraded to meet the BS-VI emission regulations. Transmission options will continue to include a 6-speed manual and a 7-speed CVT automatic unit. There are chances that Honda might introduce a full-hybrid version of the City in India as well sometime during the year 2021. There have been speculations stating that the next-generation Honda City will take its design inspiration from the Insight prototype. And that it will follow the same design language as the Japanese automaker’s some of the recent product. These include the 2019 Honda Civic and the Honda Accord. With this, it means that the exterior design of the new iteration of this mid-size sedan will be quite sleek and sporty to look at. Sedans have been bearing the brunt of the rising popularity of SUVs across the globe with a similar situation being mirrored in India as well. Hence, the new Honda City will focus on bringing the buyers back to a sedan by offering them high levels of comfort in addition to features and creature comforts. Honda is currently working towards ensuring that its brand image in India once again is established as a manufacturer of premium cars, something which the brand has lost over the years to some extent. The next-gen Honda City is hence going to be a very important product to take the said ambition of the company forward.